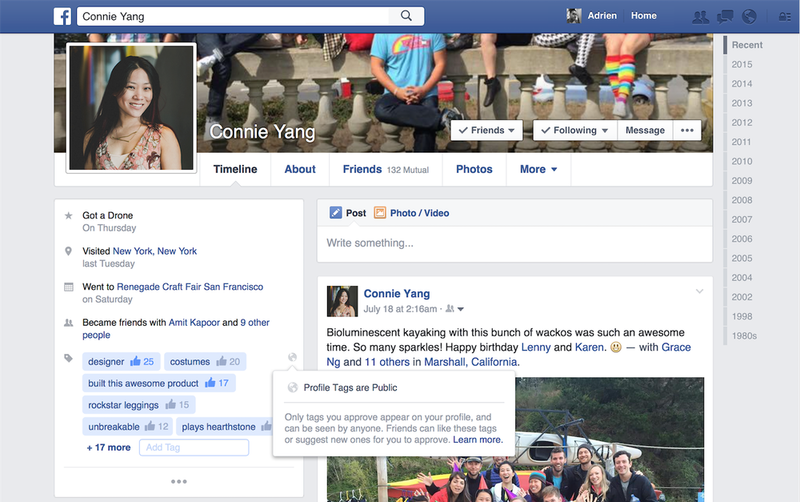 Have you ever looked at your Facebook profile page and lamented that the one thing it was missing was — profile tags? You know, like the ones on LinkedIn that purport to list your professional skills so colleagues and potential employers can instantly see what you are good at? Well, evidently Facebook has come around to thinking that such tags are desirable for your personal profile, and The Verge reported that it’s already testing the concept on accounts in New Zealand. In addition to the standard ways of letting people know who you are on your Facebook profile, profile tags let you express your identity in a more informal way. We believe that friends can also add a unique perspective to who you are and what makes you special that you may not even think about putting on your profile. This strengthens bonds between friends and helps Connie’s new friends learn something interesting about her. Now you can do this on Facebook too: compliment your friends, make your friendship even stronger and help others learn interesting and fun facts about your friends. And like LinkedIn, you can assign tags to yourself, or your friends can assign them at your approval. 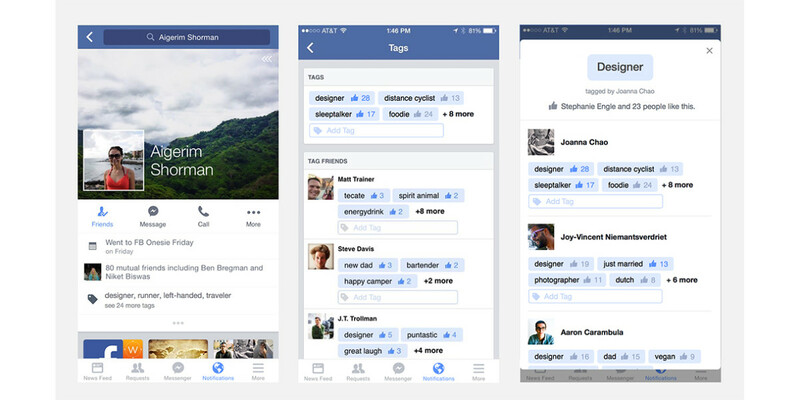 And being Facebook, you can create whatever tag you want — you won’t have to pick from a set list. You can even use emoji — and that will likely be the kicker. And just like all other things people add to your timeline, this will be yet another occasion for a Facebook notification. Yay. If you don’t like a tag, then you don’t have to approve it. Or you can just leave it hanging and its presence will remain your secret — only you and the tagger will see it until you decisively refuse it. “We’re hoping to learn as much as we can from the test and see how people in New Zealand use it before we roll out more broadly,” the Facebook source said.